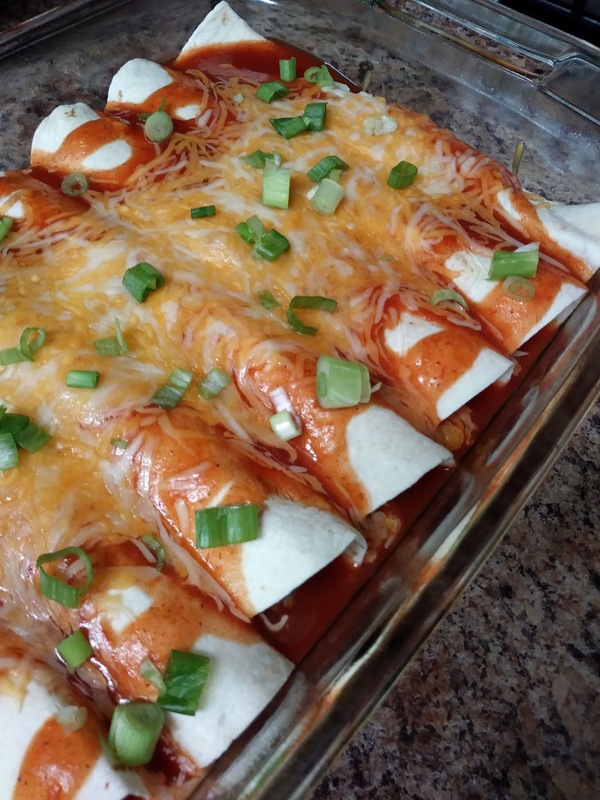 Simple and quick beef enchiladas. Ground beef with a ton of flavor wrap in flour tortillas, topped with sauce, with cheese and garnish with green onions. In large skillet over medium heat, add ground beef, onions, season with salt and pepper, cook until no longer pink. Drain excess grease. Add, diced tomatoes with green chiles, onion powder, garlic powder, 2 tablespoons enchiladas sauce and black beans, stir well. Add just enough enchilada sauce to cover the bottom of baking dish. Place enough meat mixture in center of each tortilla. Tightly roll up tortillas and place seam side down in baking dish. Top with remaining enchiladas sauce, and sprinkle with cheese. Place under broil until cheese is melted. Garnish with chopped green onions. Cooks note: Serve with your favorite toppings, like sour cream. Love the black beans hiding in there! These sound so yummy.